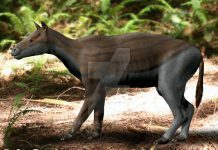 If you only look at Merychippus pictures and don’t read anything about it, then you might have a funny idea about this primitive horse-like animal. 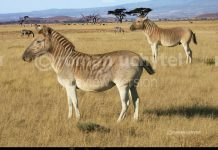 It certainly had the head of a horse but had a stouter body like that of a donkey. It had a hoof like a horse, but it also had two toes alongside this hoof. Toes which really didn’t have a purpose. This gives this animal somewhat of a strange look to it. 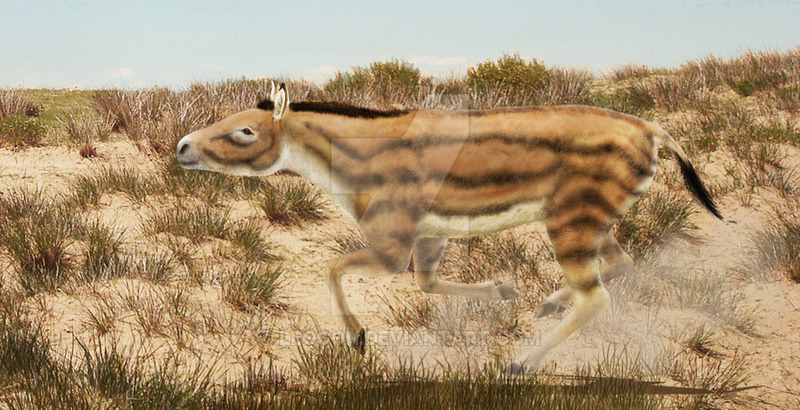 It also wasn’t the size of a modern horse. It was about 3 feet high, 3 feet long and weighed around 500 pounds. 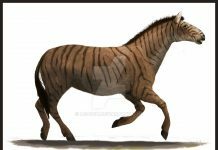 However, that is probably where the difference between Merychippus and the modern horse probably end. 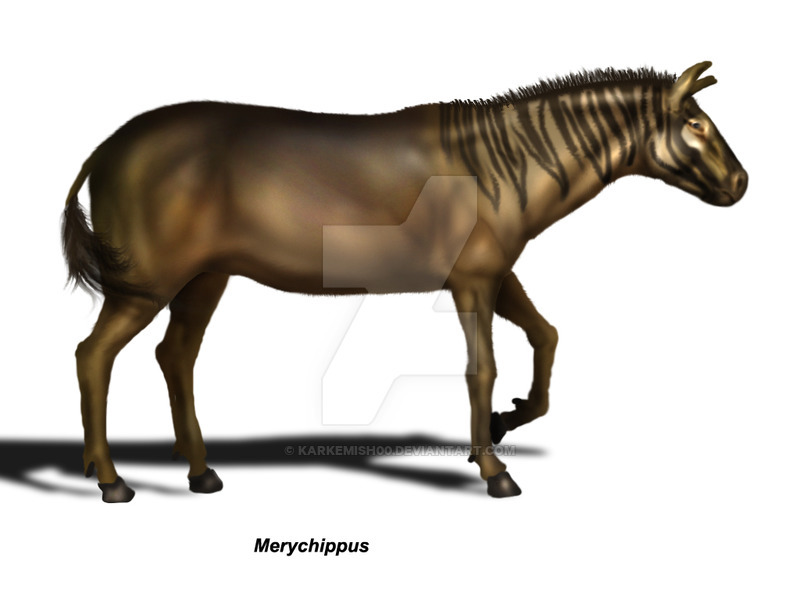 One of the many interesting facts about Merychippus is that its name is sort of a mistake. It’s named “ruminant horse” but it isn’t really a ruminant animal. Ruminant animals, like cows, chew on cuds of plant material and have extra stomachs. This horse had none of those features, so it isn’t a ruminant animal. 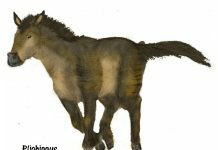 Much like later generations that spawned after it, this horse lived on the plains of North America and lived off a diet of wild grasses and other plants. 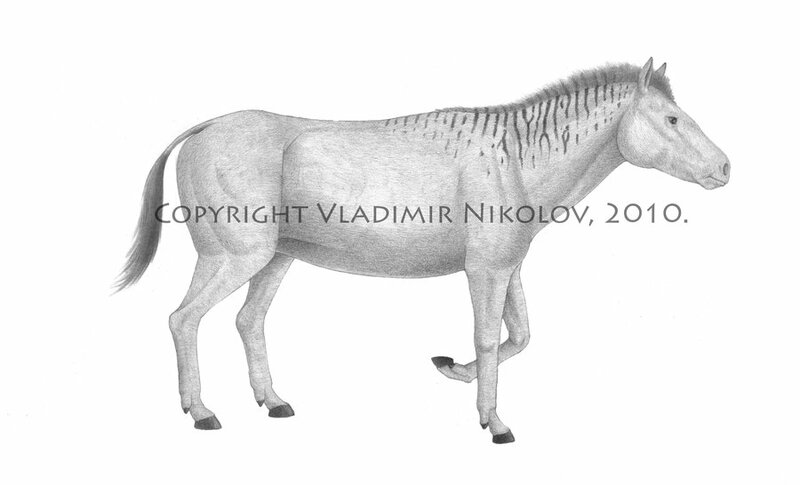 Another fact about this animal is that the many populations of it spawned over twenty different species of horses. 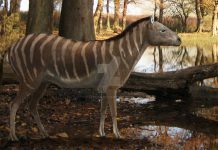 Some of the species it spawned included Hipparion, Hippidion, Pliohippus and Protohippus. 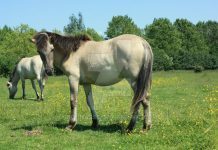 Species which would eventually lead to our modern horse. Which pretty much makes them pretty much the great-great-grandfather of the modern horse. For that alone, they should get more credit and should be known by more people. Unfortunately, they aren’t and are usually overlooked.